Indian imports in the year to 31 March 2014 are trending towards 850 t.
China’s are heading for 100t. Now that is 1850 t out of a newly mined supply of c.2900t, or 14% of total. Before we panic, there are about 165,000 t in surface stocks, always available at the right price. Further, the west is offloading even as the east is accumulating, so a balance is struck. The numbers are indicative. Net official purchases have slowed but physical investment and jewellery demand are well up. Mine output is only marginally ahead. 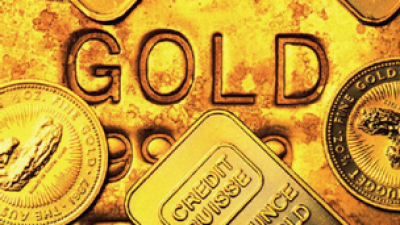 GFMS notes the lower gold price as a driver for Far East purchases. It looks for the gold price to move towards $1500 as 2013 progresses but to pull back in 2014. Pakistan and India share not just a border, but a love of gold. So when sanctions were imposed on Indians buying gold, Pakistani nationals stepped in end smuggling became rampant. It culminated in a one-month ban on imports, since lifted. To hedge or not to hedge? We shall never know if Hamlet would have hedged but since the practice fell into disrepute on recent price gyrations it has remained a tempter. Now two Oz companies, Evolution and Norton Gold Fields have jumped in, as the Australian dollar has strengthened. Meanwhile a quick volte face for Pan American Silver which put on a5.3Moz silver and 24,000 oz gold in August (20% of output), only to remove the hedge in early September. It seems the shareholders were not happy. Goldman Sachs is not a bull of the gold price either. It has a 12-month target of $1175. Consensus is that US Treasury purchases will reduce from $45Bn to $35bn shortly, with the programme to end next June. 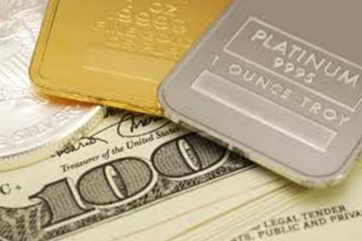 Platinum hung onto its premium to gold at 1.09 as the South African strikes appeared to be over. In August western European car sales slipped 5% to 631,000 units. They showed: Germany (-6%), France (-11%), Italy (-10%). In contrast, US new car sales hit a six-year high to an annualised total of 16 million units. China and official gold. That old chestnut: will China confiscate its citizens’ gold? Has reared its head again. As the world’s largest producer, c. 400 tpa, its miners must sell all to the state. Nothing comes out onto the world market whilst the annual intake – much via Hong Kong – is around 1000 tpa. China shows only 1054 t in the central bank vaults, but should it seek to take a more definitive role in the currency world, it would need to bolster it.